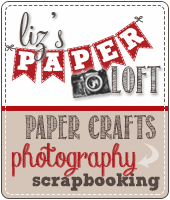 Liz's Paper Loft: MCT July Release Blog Hop ~ flip flop! 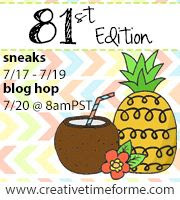 Welcome to My Creative Time July Release Blog Hop! 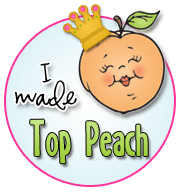 You should have arrived here from the fabulous Miss Kim's fabulous blog. 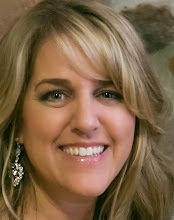 If not the be sure to head to the start at the wonderful Miss Emma's wonderful blog, so you don't miss a chance to win! 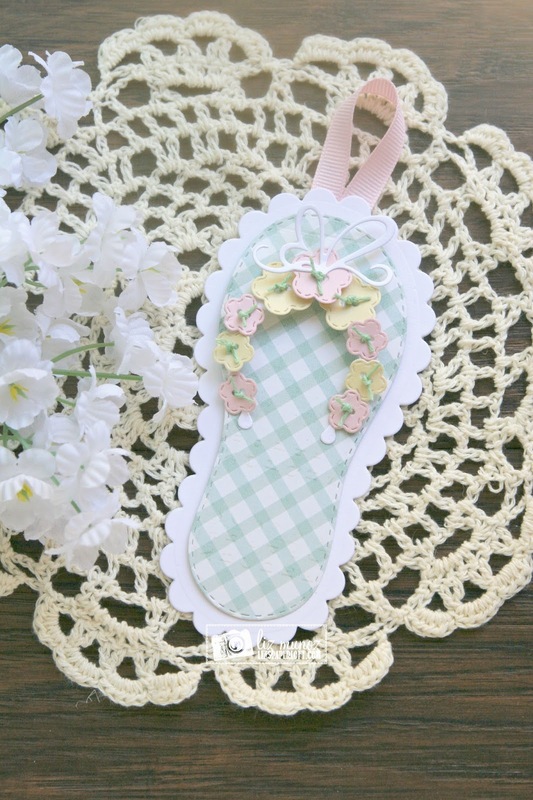 I get to share with you the Big Stitched Flip Flop die and Cute Bows dies for the second day! 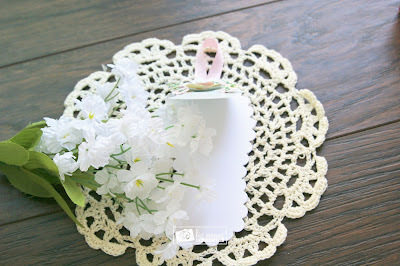 This super cute die can also make a darling tag, and I choose to make a card tag. All I did was made a score line at the top of the plaid piece and glued it to the scallop piece. Then added the flower buttons...easy peasy. Starting THIS Friday, June 16th, 2017 @ 8am PST ~ Our "Freebie" for this release is the "Cute Bows" die. It will be given to the FIRST 75 shoppers! If you are one of the 1st 75 shoppers it will be automatically added to your package at the time of packaging/shipping. Once 75 shoppers come through, this die set will be available for purchase. So, if it’s for sale in the store, you are not one of the 75. No exceptions will be made. This freebie set is not a part of the “bundle” and will be sold separately! ALSO, DON'T FORGET our sale starts RIGHT NOW here:http://shop.my-creative-time.com/Ne...! Use the code: JULY2017 to receive a discount off your entire purchase! This sale applies to "IN-STOCK" items ONLY. This sale will end on Fri, July 28th, 2017 @midnight PST. Your NEXT STOP is Nikki's amazing! Oh my word! Your tag is awesome beautiful...love the flowers and soft colors! Wonderful job today and all week! Look at the very cute flip flop, love the colors, love love it! 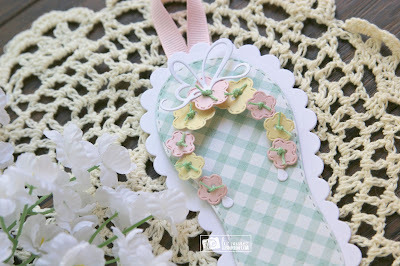 I like how you added the flowers to the flip flop! Awe, how pretty, Liz. Love all the little flowers on the flip flop. Darling tag. Love the colors, flowers, and that great bow die. WOWZERS...... This is SOOO Soft & BEAUTIFUL!!! I just LOVE how you used the button dies....very CREATIVE!!!! 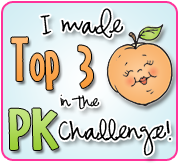 Thank you for all of your GORGEOUS sneaky peeks this entire week!!! I want this, so so pretty!!!! Love how you used the flowers to embellish the strap of the flip flop. Beautifully done. THe flip flop is so pretty!! I think i need a pair!! LOL!! Great job!! Loved all your projects!! Sweetest flip flop I've ever seen! I want a pair!!! You're projects this week have been amazing! 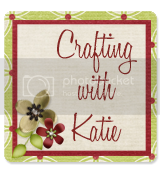 So great to have you back to crafting!!! OMG Miss Liz WOW....Talk about one Super Gorgeous Tag!! It's breathtaking....and how you manage to keep coming up with the most elegant Shabby Chic creations is beyond me but you nailed it again. Your floral thong piece is absolutely beautiful...the total color is so pretty....Now have you ever hear of a Magnificent & Gorgeous Thong?? Well here it is....and you know what....fit for a bride to wear as she strolls down the isle...Girl You totally outdid yourself! A SUPER Outstanding Creative job!! YOU so rOCK!! So sweet with the flowers. Your tag is just so pretty. I love all the different size flowers and colors. Awesome Job! Love your cute flip flop tag card! So fun with all the flowers! What a sweet tag! Love the flip flop with the darling flowers! I just love the flowers on your flip flop! I love how delicate you flip flop tag is. What a versatile Die. Thank you for sharing.